The HotStyle BASIC TOTE is made from 600D eco-friendly water resistant polyester, all seams are stitched for extra durability. 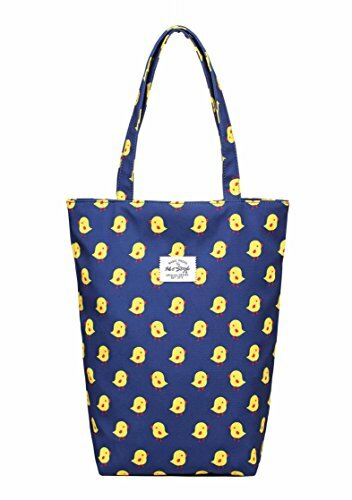 Features fashionable patterns, a beautiful and utilitarian tote bag that must have for your closet.The bag has over-the-shoulder handles with fixed but proper length to fit your shoulders, the snap closure for quick and easy access. The bag fits A4 files, binders and books or 15-inch laptop, lightweight construction but can hold up to 20 pounds in weight. One internal slip pockets (7.0 x 5.0 inches) perfect for the organization of smaller items. The shoulder bag is durable to meet your everyday standard, stylish design for shopping, clubbing, work, nursing, yoga, walking dogs, perfect for carrying laptop to class; carrying books for school; carrying files for work; or carry a spare pair of shoes for the commute. This is a awesome handbag overflows facility. • Each order includes a 12-month worry-free guarantee for quality.